Do you have mold and mildew on your windowsills? It is a common problem. Historical houses that still have their original windows are especially prone to this; the old wavy glass is beautiful, but not always the best protection from the elements. Keeping the windowsills as dry as possible and making sure their paint or polyurethane finish stays in good condition is the best prevention, but what should you do when mold does crop up? Asses where the moisture is coming from. Is it leaking under the glass? Is the glass sweating? Is the room too humid? Fix the problem before cleaning up. If the primary problem has not been addressed, the mold and mildew will return. Gather your cleaning supplies and put on rubber gloves. Scrub your windowsills with Scotch-Brite sponges dipped in hot soapy water. Scrub hard, but be careful not to strip the finish off the wood. Wipe the windowsills down with clean water and dry them with a white cloth. Disinfect the windowsills. Adding 1 ½ cups of bleach to a gallon of water makes a powerful cleanser that will kill any remaining mold spores and remove the stains mildew leaves behind. Apply the solution with a spray bottle or a clean white cloth and allow it to air-dry overnight. 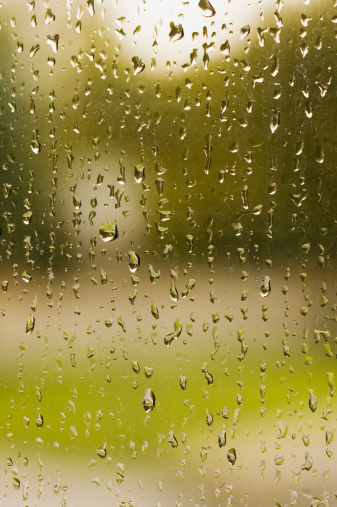 Rinse your windowsills with clean water the next day. Do Dehumidifiers Remove Mold & Mildew?